It’s undeniably true that product label don’t have direct relationship on the product’s inside as well as to the brand name, however in making purchasing decision it definitely does! The labeling materials serve as a guide that sends messages to the consumer on the broad cycle that the product went through. Furthermore, it also contains all the necessary information, which most buyers always check before purchasing. It is the producer’s main responsibility to attached an accurate label for the benefit of the consumer, on the other hand, its consumer’s responsibility to read the label and share their feedback to inform manufacturers on the wrong-side or good-side of their product. Thus consumer and producer should have give-and-take relationship to improve every aspect in this society. The label is a piece of paper that contains important information about the product. 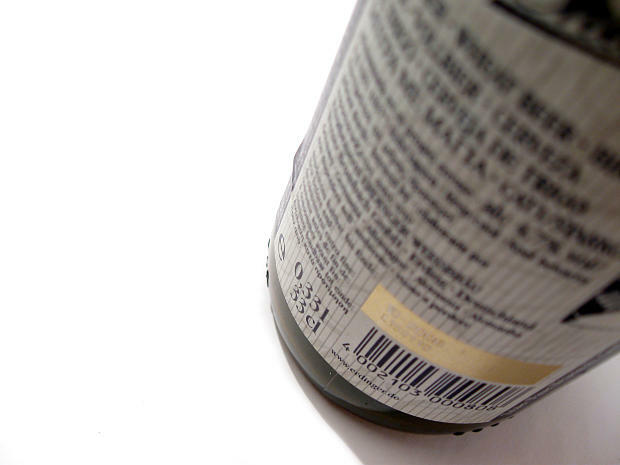 It is a legal requirement for a manufacturer to include product labels for consumer awareness. The label is the product’s identification card, thus attaching one helps your product easily identified from the others. In addition, it will also help the brand name to be recognized. If buyers feel grateful on the product they purchase, chances are they keep coming back for more. Happy customers will become your loyal customers and will eventually become your “unpaid” marketing employee. These people will become one of your marketing tools as they will introduce your product from their relatives and friends. Of course all of these would never be possible if you missed on attaching a very compelling and attractive label. An informative, neat, clear and direct label will drive customer to choose the product. It would be very impossible to market the goods with poor labeling as people easily judged the outside appearance before considering on what is inside. They always have this perception that they also pay for a good and neat labeling. Buyers always associate untidy labels to unclean manufacturing area, business owners should obtain the best label they could afford to persuade buyers that their product is properly and neatly manufactured. To sum up, untidy and improperly labeled products create bad reputation to its brand name. Manual labeling is an ideal option when working with average number of production. It is costly in terms of manual labor and inefficient at times. For corporations that need to produce thousands of products per day, employing labeling machinery would be the wisest option. It would be expensive, but it’s absolutely much quicker, efficient and convenient.